​HDB flats are intended principally for owner-occupation, and always have been meant to be homes first. 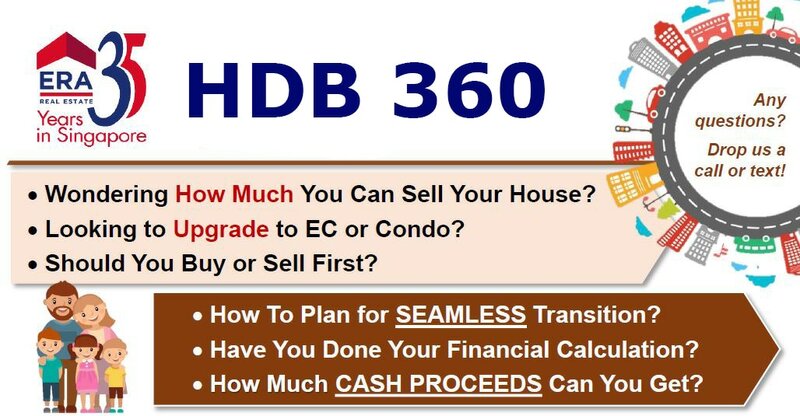 At the same time, we recognise that HDB homes are an asset that can be monetised when the need arises. As long as the HDB flat is being paid via CPF, accrued interest will continue to build up. You are basically borrowing from your CPF at a rate of 2.5% per annum for as long as you hold on to the property. Therefore, you are actually paying for interest for both sides – first to HDB/Bank and then to CPF. The first interest is based on the 2.6% HDB loan or Bank interest. The 2nd interest is based on the 2.5% CPF accrued interest – which will only be payable upon the sale of the flat. Your mortgage is made up of the capital – the amount you’ve borrowed – and the interest charged on the loan. With most mortgages you pay off the capital and interest monthly over 25 or 30 years, which is why they’re called repayment mortgages. In the early years of payment, bulk of your monthly installment payments go to paying off the interest with a smaller part reducing the capital (outstanding loan amount). As you get nearer to the end of the term, it switches so that you’re paying more off the capital each month. For example: The 1st Installment of $2380 monthly payment, $907 goes to paying Interest. Only $1,473 goes to reduce your outstanding mortgage. 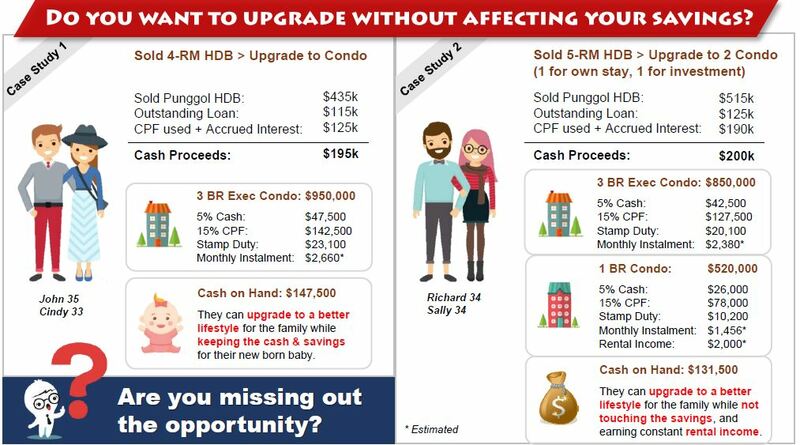 Future value of your HDB did not appreciate higher than your outstanding mortgage and CPF used + accrued interest. Good news is that mortgage loans are a lot easier to get as compared to when you are 45 years old. You can get a longer mortgage period with smaller monthly affordable installments. You are able to leverage from the available financial instrument, your age and your income to accumulate wealth by acquiring more asset generating income. When age and income are now at your advantage, I would normally recommend my buyers to focus on wealth accumulation. Purchase and rent out during the first 3 years. Sell when prices have increased to a reasonable value with healthy profits. Re-Invest again to gain more assets. When you reach your retirement age, you can convert them to generate passive income to support your retirement goals and to leave a legacy for your loved ones. If you would like to understand more on what you can do and other options available, please contact us. We would want to hear your goals, understand your current financial situation before we can tailor a more feasible proposal and share with you. Please contact me. My contact details are below.